It's not very often that I see something new for Microsoft CRM that really impresses me to the point where I feel like I need to tell everyone about it. After all, CRM 4.0 has been out in the wild for more than 2 years now, and in that time many people in the CRM community have contributed the add-ons, tricks and code snippets to fill in short-comings in the product, or generally improve it's useability. Today, however, is different. A colleague brought a blog post to my attention that really blew me away. 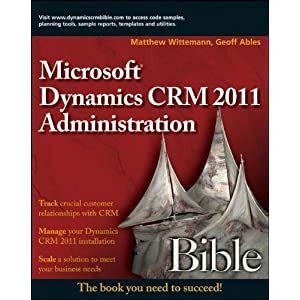 The post is from Dave Berry, on his CRM Entropy blog, and it includes the code and instructions for implementing a feature that I've been missing in CRM since the v1.0 days: the ability to edit records in a list view, or grid. I can easily foresee this client-side extension becoming a staple of every CRM project we do. Congratulations, Dave, on a job well done! Thank you for the kind note, Matt. I'm working on other developments for my company at the moment, but I shall return to developing additional features for this project in the very near future. Please don't hesitate to provide input. Once again, thank you for the spotlight. It's nice and warm.